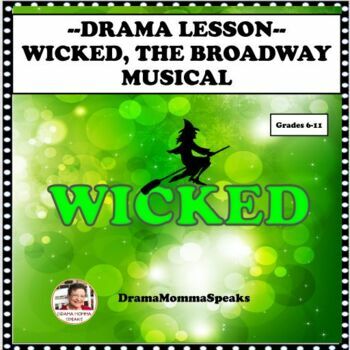 Page to Stage is a new Dramamommaspeaks product line of lessons concerning Broadway musicals and plays! 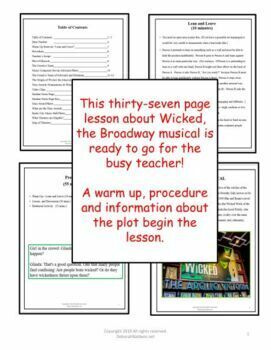 Wicked is an engaging, exciting and ever popular musical and this lesson demonstrates that. 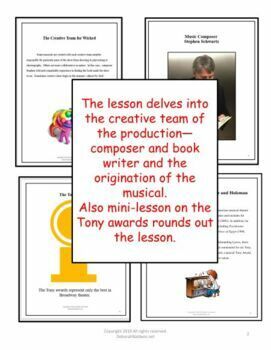 This one or two day lesson can stand alone or be combined with one of my Famous Artist biographies or other musical lessons.